Architecture is a compelling mixture of stability and flux. In its solid forms, time and space collide, amalgamating distant influences, elements that have been around for over 5,000 years and others that were (re-)invented yesterday. 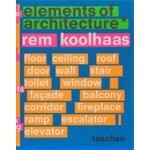 Elements of Architecture focuses on the fragments of the rich and complex architectural collage. 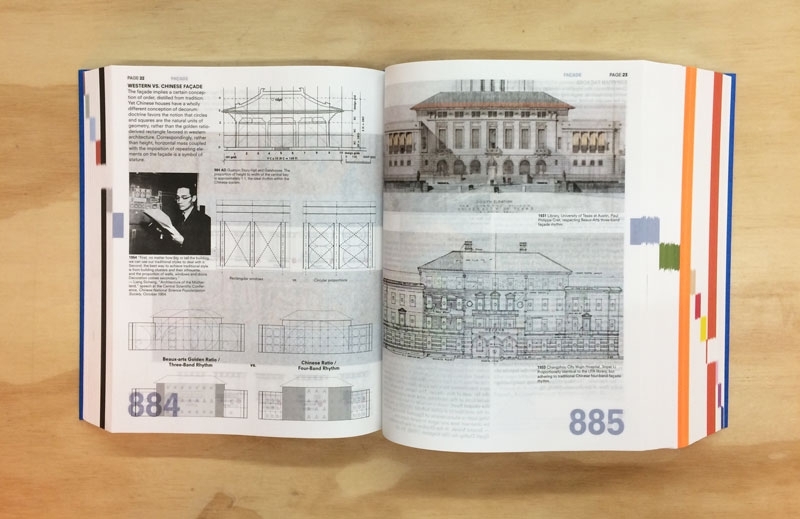 Window, facade, balcony, corridor, fireplace, stair, escalator, elevator: The book seeks to excavate the micro-narratives of building detail. 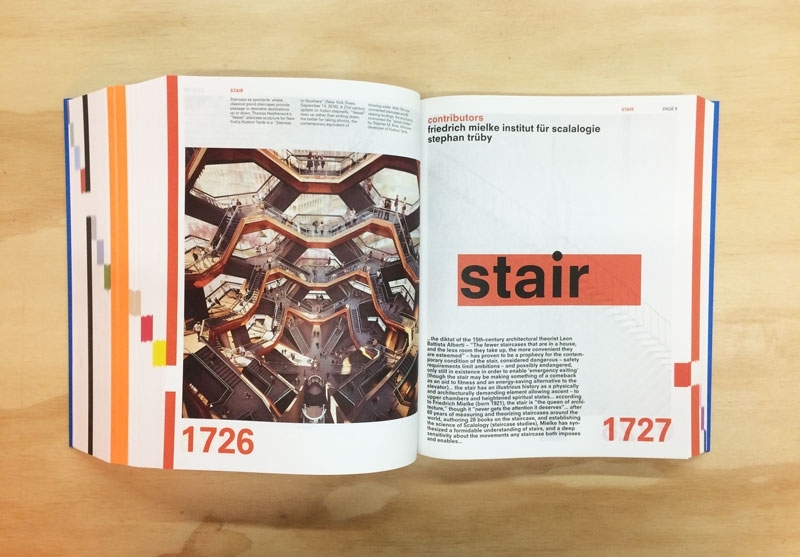 The result is no single history, but rather the web of origins, contaminations, similarities, and differences in architectural evolution, including the influence of technological advances, climactic adaptation, political calculation, economic contexts, regulatory requirements, and new digital regimes. 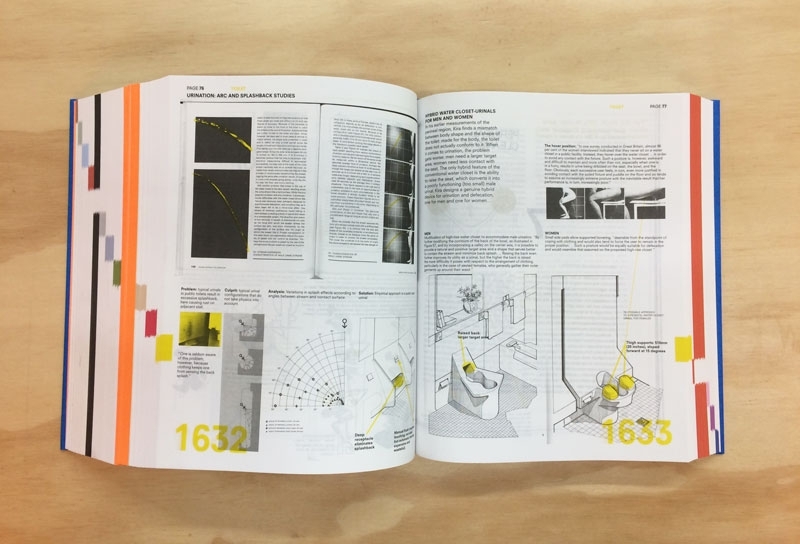 Derived, updated, and expanded from Koolhaas’ exhaustive and much-lauded exhibition at the 2014 Venice Architecture Biennale, this is an essential toolkit to understanding the pieces, parts, and fundamentals that comprise structure around the globe. 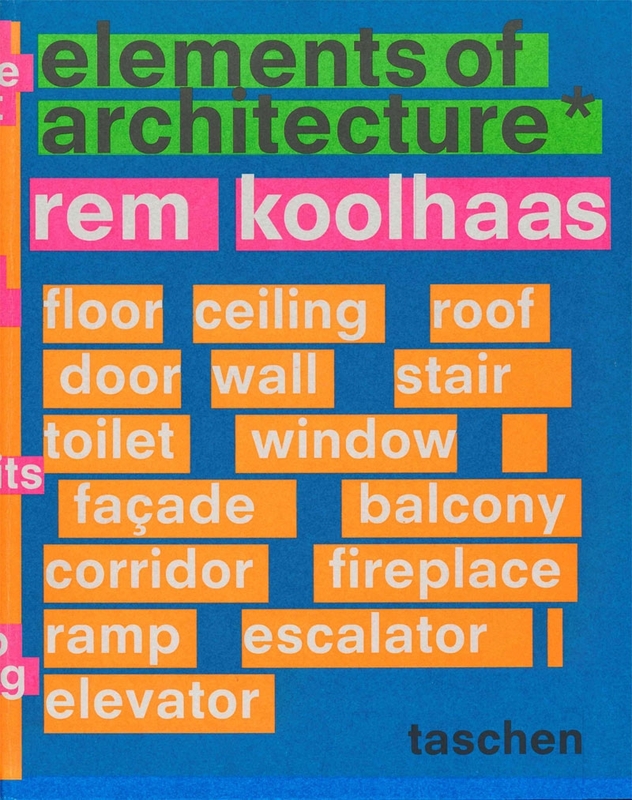 Designed by Irma Boom and based on research from the Harvard Graduate School of Design, the 2,600-page monograph contains essays from Rem Koolhaas, Stephan Trueby, Manfredo di Robilant, and Jeffrey Inaba; interviews with Werner Sobek and Tony Fadell (of Nest); and an exclusive photo essay by Wolfgang Tillmans.